Get your hands on SMART COOKIE! We're so happy to be celebrating the release of Elly Swartz's SMART COOKIE! Congratulations, Elly, on another incredible book! Learn HOW TO GROW A DINOSAUR Today! 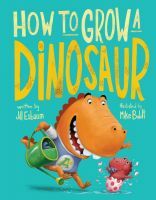 Jill Esbaum's HOW TO GROW A DINOSAUR releases today! Please join us in welcoming this wonderful new picture book into the world. Congratulations, Jill! As most folks familiar with the publishing process know, there are a huge number of factors that go into the creation of a book, and each new deal is a minor miracle of converging elements. There are times, though, when those elements come together so perfectly that you just know that you're going to get something extra special. And that's exactly what has happened in the case of this groundbreaking anthology, BLACK ENOUGH: STORIES OF BLACK TEENHOOD IN AMERICA. The collection of YA stories was conceived and helmed by National Book Award finalist Ibi Zoboi, and has been signed on for publication in winter 2019 by Alessandra Balzer at Balzer+Bray. You think you're already excited? Wait till you see the star-studded list of contributors: Rita Williams-Garcia, Coe Booth, Dhonielle Clayton, Brandy Colbert, Renée Watson, Tracey Baptiste, Jason Reynolds, Kekla Magoon, Jay Coles, Nic Stone, Lamar Giles, Leah Henderson, Justina Ireland, Varian Johnson, Tochi Onyebuchi, Liara Tamani, and Ibi Zoboi. There's really only one thing left to say... is it 2019 yet?!! Huge congratulations, Ibi and team! Anna Redding to the Rescue (With a Picture Book)! I'm so delighted to be able to share some good news for a great person: super talented and versatile author Anna Redding, whose YA non-fiction book GOOGLE IT is hitting shelves in August (have you preordered your copy yet?). Chris Hernandez at Harper Collins has acquired World rights to Emmy award-winning journalist Anna Redding's picture book debut, RESCUING THE DECLARATION OF INDEPENDENCE, with critically acclaimed artist Edwin Fotheringham signed on to illustrate. The action-packed true story follows a little-known hero who the historic artifact and many others from being destroyed by the British during the war of 1812. Ammi-Joan Paquette of Erin Murphy Literary Agency represented the author, and Pat Hackett/Artist Representative the illustrator, with publication scheduled for winter 2020. Zany, fun, and brilliantly factual, this untold story will keep you on the edge of your seats! There's a fair ways to go before we all get to enjoy it – but it will be more than worth the wait. 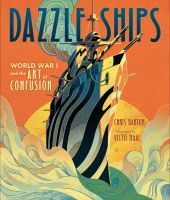 I don't think we've finished seeing all the plaudits coming to Chris Barton's Dazzle Ships, although the Orbis Pictus Honor makes a nice cap—no, wait, look at that! Nerdy Book Club and Cybils lists just rolled in to join the NYPL and Chicago Public Library lists, among others. The team of author Chris Barton and editor Carol Hinz is producing outstanding results, with the major-league assist of the rest of the Lerner team and the participation of incredible debut illustrators. So it will not surprise you to hear that they've got another one underway! ALL OF A SUDDEN AND FOREVER is a picture book text about the response to and recovery from the 1995 Oklahoma City bombing, serving as an example of how people respond to great pain and what communities are capable of. And again, a debut illustrator—the divine Nicole Xu—will be providing stunning art. I think this is going to be a moving, timely, and inspiring book, to say the least. But I digress! We are here to celebrate Tara's new book deal, and celebrate we shall. Here is the deal announcement that went up... okay, there's no way around it. It actually went up last Thursday. Oops! Can I blame the #bombcyclone? No? 7 ATE 9 and THE MONSTORE author Tara Lazar's YOUR FIRST DAY OF (CIRCUS) SCHOOL, a zany twist on the first day of school where a kid receives all manner of advice from his older sibling on how to get along in circus school, to Jessica Burgess and Peter Phillips at Tundra Books, with illustrations by Melissa Crowton, by Ammi-Joan Paquette at Erin Murphy Literary Agency for the author and Kirsten Hall at Catbird Productions for the illustrator (World). Huge hooray, Tara and team!! Kevan + Neal = WHOOP! Gosh, you guys, I couldn't be happier to share this news. Kevan Atteberry gets so much warm support on social media as he traverses all kinds of stuff, including the decline and loss of his beloved wife, Terri, from young-onset Alzheimer's, and the important fundraising he's done for Alzheimer's research. Reading his Facebook feed is like getting a big, warm hug from the creative community. So I know when this news reaches that community, the whoop that goes up will be loud enough to drown out a northern California earthquake and an East Coast bomb cyclone! Are you ready? Here it is: Kevan's quiet, important book called GHOST CAT—about what happens when a beloved kitty is gone...and yet not-gone—has been acquired by the inimitable Neal Porter for his imprint at Holiday House. I just can't wait to see what these two can do as a team! The book will be out in summer 2019, and I am beside myself that I get to watch this magic happen between now and then. Two picture books to begin 2018! 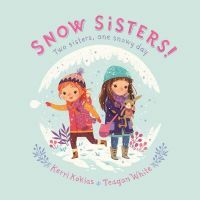 We're starting the new year off right with two wonderful new releases - SNOW SISTERS! 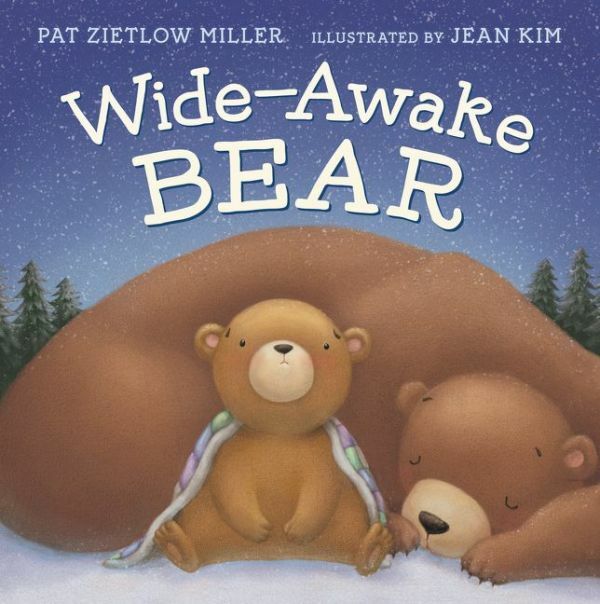 by Kerri Kokias and WIDE-AWAKE BEAR by Pat Zietlow Miller! Congratulations to you both!